With Veteran’s Day right around the corner, we couldn’t think of a better time to reach out to some of the military veterans now serving in the beverage industry and take a look back at where they’ve been and where they’re at now. We connected with Rob Dietrich, Head Distiller of Stranahan’s Whiskey and former member of the U.S. Army’s 10th Mountain Division to talk about his service and how he found his entry into the whiskey scene. What compelled you to join the military? In the late eighties/early nineties, I was in the Denver punk scene and not really going anywhere in a positive direction. I looked into the military as a way to get a good direction, good education, discipline and some solid adventure to start the rest of my life with. What branch did you serve with and what did you do? I served in the U.S. Army, 10th Mountain Division, 10th T.A.D. (Target Acquisition Detachment). We specialized in locating primary enemy locations through radar or forward observation and taking out those locations. We were primarily snow and mountaineering trained as Quick Reactionary Forces (QRF) and I served two combat tours in Mogadishu, Somalia in 1992-1994 during the infamous Black Hawk Down incident, and one tour in Haiti as security forces in 1994 during the Haitian political uprising. Do you have any memorable beverage related experience during your service? I have a few that aren’t entirely appropriate to relate here, however I would say most of my beverage-related experiences in the military were memorable. One story in particular is when I was on leave in Mombasa, Kenya during my tour in Somalia. We had all our combat pay saved up and were spending it like kings, and had some catching up to do on the drinking front as we were not allowed to drink in Somalia for obvious reasons. Did you always have an interest in fermentation, distillation, and whiskey while you served? I certainly was interested in the whiskey aspect, but fermentation and distillation were as of yet not on my radar. We did attempt to make wine out of Koolaid packets from our MRE’s in Somalia, with horrible results. I had much to learn in the area of fermentation! As you prepared to transition out of the military, did you plan to get into the whiskey business? I actually got into the music business when I got out of the Army, living in a bus and working shows all over the country, before settling back in Denver for a decade-long career that netted me some great memories and some memorable tours with the likes of James Brown and Lone Star, which was probably a good segue into the spirits beverage industry. I learned how to manage crews and manage large-scale production, which has helped immensely in my career in whiskey production. How did you end up at Stranahan’s, and what has it been like working your way up to Head Distiller? I met the original Head Distiller over a mutual love of music and vintage motorcycles. I was fascinated by the distillation and whiskey-making process, and at the time was working on a diesel motorcycle that could run on vegetable oil. We started working on a bike that ran on the spent whiskey heads and created a great friendship. I became one of the first night distillers in 2006 and spent my nights making and barreling whiskey, while wrenching on my motorcycle in front of the still. I worked my way up to the barrel house manager and did a lot of the maintenance on equipment and systems around the facility before working my way up to the Head Distiller position and managing all aspects of whiskey production from grain to bottle. 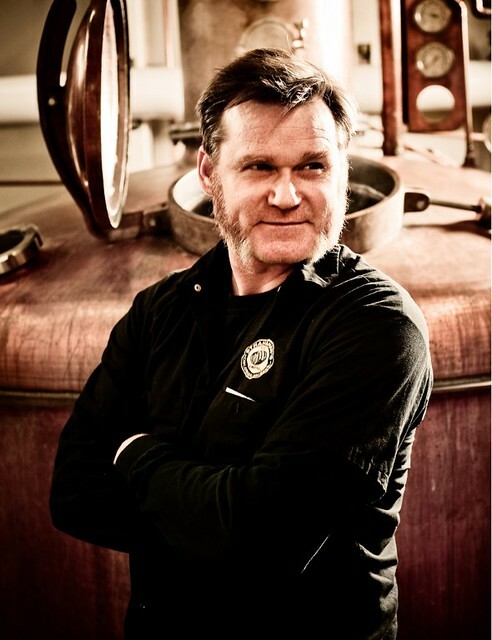 Who have been influential in your career as a distiller? There are many, but I would say Jesse Graber is definitely my hero when it comes to pure Colorado guts and determination. I most certainly would not have a job if it wasn’t for him and his tenacity for making the finest quality Colorado whiskey. I’m also a big fan of Rob Masters and Todd Leopold, both Head Distillers in the Denver area. They have been great friends and great teachers in their own right. Any advice for service members preparing to transition out of the military that may be looking for a job in the beverage industry? Study what you love, and leave no stone unturned. Buy every book on the subject you can, ask questions, visit forums and buy products that interest you. Challenge your palate and practice, practice, practice. Legally, of course.